Mexico to play centrestage in plastics production? PUEBLA : It is an exciting time for the Mexican plastic producers. The new Mexican Government is said to have unleashed a series of administrative reforms that would provide greater business opportunities for the plastic processors of the country. Fresh business activities are being witnessed in the country. The existing firms have submitted proposals to expand their facilities to boost production. Non-Mexican producers have shown greater interests in setting up new business in the country. Many a company from the US have expressed renewed interests for business setups in Mexico. The focus seems to be shifting away from China, which until recently used to be the favorite destination. The rising labor costs in China are one of the deterrents that have forced many companies to search for newer destinations. Mexico turns out to be the ideal destination, taking into account the fact that it has the cheapest labor costs among North American nations. Average labor costs in China have increased by almost 20% during the last for years. Studies reveal that the labor costs in Mexico rose only by 1% during the same period. The time involved in shifting of products from China is also forcing many US firms to shift their base to Mexico. The ever improving rail links between the two countries will take the trade to greater heights. The free trade agreements signed with 44 countries is also expected to work in Mexico’s favor.Plastic conversion is expected to become a booming business in Mexico. The plastics industry represents 0.5 percent of the country’s Gross Domestic Product (GDP). The industry employs 155,000 people in all. 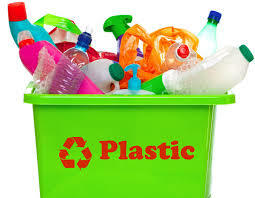 It grew 6 percent from 2011-12, according to the studies carried out by Mexican plastics trade group.